Heavy snowfall alert has been issued in Himachal Pradesh, asking residents in five districts of Chamba, Lahaul-Spiti, Shimla, Kinnaur and Kullu, to stay away from higher slopes today. The advisory comes after the Snow and Avalanche Study Establishment issued an avalanche warning. The meteorological office has predicted heavy snowfall in the coming days in the hill state and a 'red' alert has been issued for today. The state government has asked the district disaster management authorities to monitor the situation closely and take appropriate steps, said a government spokesperson. The authorities have also kept rescue teams on standby to deal with any emergency situation, the official added. Residents of the five districts have been advised to stock up on essential items and emergency medicines. The government has asked people to dial 1070 to contact the State Emergency Operations Centre (SEOC) if required. 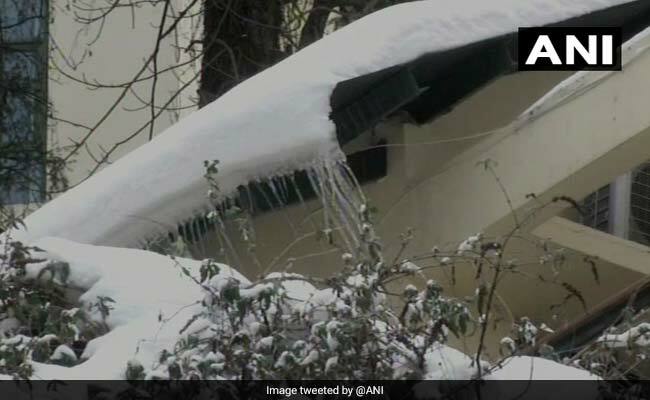 In Uttarakhand, too, the weather department has warned of hailstorms at isolated places and heavy snowfall in the higher slopes in the next 36 hours. Warning has been issued in Uttarkashi, Chamoli, Rudraprayag, Bageshwar and Pithoragarh, the meteorological office director, Vikram Singh told news agency PTI. "The weather condition has been caused by movement of western disturbance in the western Himalayan region and formation of an induced system over north Rajasthan and neighbouring areas," Mr Singh said, adding that authorities have been advised to control the movement of tourists in the hills today.